I should know. I used to do $1,000 or $5,000 launches of my online courses back in the day. But when I learned what I’m about to teach you and started putting it into practice everything changed. My launches went from a few thousand dollars to 5 figures and eventually to 6 figure launches. In fact, recently I launched a new online course that pulled in $178,000 in just 6 days! No webinars, no affiliate promotions, just good ole’ fashioned emailing to my list. I never dreamed I could make this in one year, let alone one week! Now, that might sound like a lot of money to you (or not), but how much money the launch made in total isn’t the most interesting thing. Rather it’s how much money came in on the last day that is most fascinating. Take a look at my Kajabi sales analytics image below. I want you to notice WHICH day of my 6-day launch was the biggest. Launch Day was OK. We made some sales, but nothing amazing. In fact, Day 2 was more profitable than Day 1. Then you notice a dip in sales on Day 3 and 4. It almost looks like my launch is running out of gas. But then something magical happens on Day 5! That day alone was over $50,000. Did I send some magical email with copy written by some online business unicorn guru? Did I have an affiliate with a bigger list promote my product to their audience on that day? The simple reason so many sales came in on that day (and into Day 6) had all to do with one little word... scarcity. Scarcity is the single biggest contributor to product launch success stories. If you infuse a strategic scarcity element into your launch you will literally double your sales. In fact, with every launch, I do that involves scarcity, roughly HALF of the sales come in on the last day. Without scarcity, you leave so much money on the table. Because human beings procrastinate. We put things off till later. If you simply launch your next product and say “Here it is! You can buy this course now (or join my membership site)” you will get some sales - but not a lot. Even if everyone on your list LOVES the idea of your product and thinks the price is fair, they won’t buy. But next week comes and they forget. And of course, they forget - they have a busy and full life just like you and me! So the truth is it is our job to give our audience a reason to buy now. Not just a reason to buy in general but a reason to buy today! And you do this by creating real scarcity. You’re not manipulating anyone. You can’t force anyone to buy your product. Rather you need to incentivize your potential customers to purchase during launch week. Give them a good reason to seriously consider buying what you’re selling. Ultimately it’s still their decision, but if done right scarcity will bring in about half of your sales on the last day because it’s their last chance to take you up on the limited time offer (more details on that in a second). So today I want to break down for you a simple 3 step plan you can follow when it’s time to launch your next online course or membership site. It’s the exact plan I used to do $178,000 in 6 days. And no matter the size of your list or price of your product, if you follow these steps you will literally double your next launch! Well, there are three classic ways to harness the power of scarcity that I love. I’ll quickly unpack all three so you have a better idea of what scarcity element(s) you’d like to use. The most powerful scarcity element is to simply close the cart. This means that you take away the product after the launch period is over. You’ve likely seen this before when someone whose email list you are on launches a product but tells you that it won’t be for sale after launch week. Well for one, it works. You get a ton of sales because if someone is even remotely interested in buying it, they must buy it that week or else it’s gone. It helps potential customers who are on the fence get off the fence and make a decision, yes or no. Which ultimately is good for everyone involved. If they say yes, you make money and they get a (hopefully) life changing product. If they say no, at least they’ve thought about it and made a decision. Maybe money is tight. Maybe they aren’t ready to consume that much content. Either way, they were forced to think long and hard about it and make a decision. Two, many times it makes sense to close a course or membership so you can get a round of students in and test the product to make sure it is everything they need it to be. You can improve the course, update any positioning that might not have been clear on the sales page, and even beef it up with cool bonus content for the next time you release the course to your list. The second way to infuse scarcity into your launch is to raise the price after the initial launch period is over. Or you could think of it as actually dropping the price during launch week and then raising up to your normal price moving forward. Either way, the course or membership is simply a better deal during launch week, so if they were considering purchasing at all they might as well get it now while it’s cheaper! Let’s say for example that you have an amazing online course that teaches people how to play the piano without needing to read music. And let’s say that you plan on selling the course for $197 moving forward. On launch week you could sell it for only $97 and make a point to let your email list know that this initial 50% off price lasts only for 5 days (or 7 days or whatever your launch period is). The course will still be for sale after the launch week is over, but it will cost them $197. But if they buy now, they get the same course for half off! The third and final scarcity element I like to use is a time sensitive bonus. Create something additional to the course or membership that is amazing and valuable, something your audience would love and include it with their purchase during launch week. But after launch week, that bonus is no longer available. So in this instance, the price of the product is the same no matter when they buy, but they get extra goodies if they buy now. The great thing about selling digital products is that it costs literally nothing to add more value to an offer when your bonuses are digital as well! Once you pick which method of infusing scarcity you plan on using you will want to make it abundantly clear to your audience in every single email, sales page, or ad campaign you run. Obviously announcing the product or membership, its benefits, and what it includes is critical but your job will be to mention your scarcity element at every point of communication during launch week. Let them know that if they are even thinking about joining, they should join this week - not later. And here’s a pro tip - use actual countdown timers! Kajabi has this option built into sales pages and landing pages for a good reason - they work! When someone lands on your sales page and sees a big clock ticking down it instantly makes them focus and pay attention because if there’s something good going on they don’t want to miss out. Picking the scarcity element really is honestly the hardest of these three steps, and it’s really not even that hard. The final two steps are all about reinforcing that element. But make no mistake, if you don’t do these two steps you will miss out on a ton of revenue. So once you begin to get some sales on Day 1 and 2 you hopefully should be getting some excited emails or comments from those initial students. 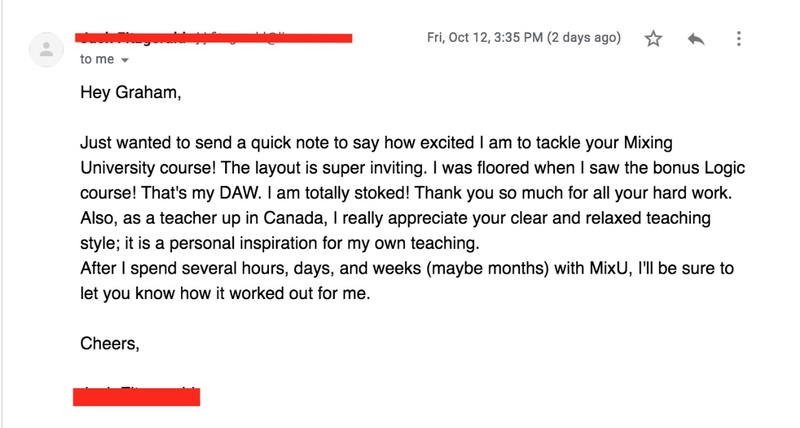 Here’s another pro tip - personally email your first handful of customers to both thank them and to ask them what they think of the course so far. This will help you actually get some early feedback and testimonials of excitement if they don’t come naturally. Screengrab as many of those testimonials that you can and work them into an email on the last day of the launch. Actual screenshots of emails or messages are more powerful than you just typing them out. Just one of 3 screenshots I used on my last day email for my latest course launch. 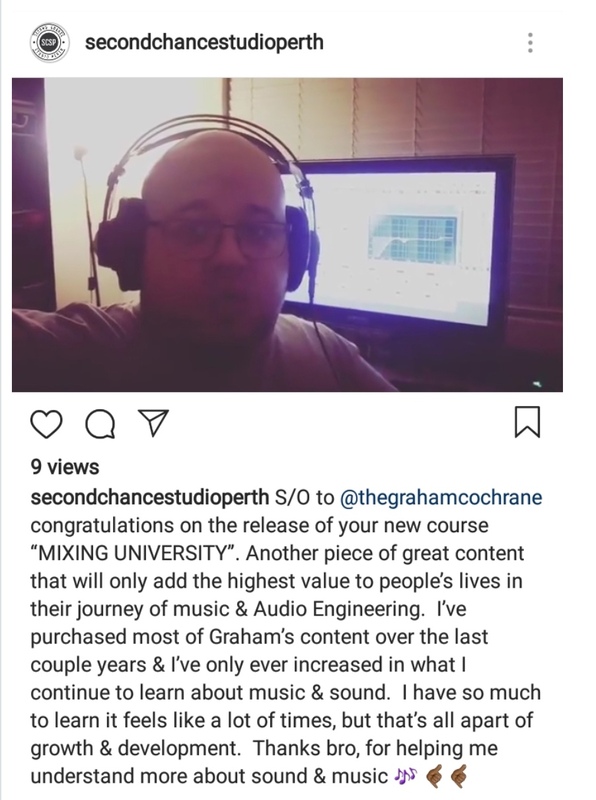 I even screen grabbed this Instagram shoutout for my course and put in the email! No matter how compelling the sales copy may be, there is nothing like knowing that other people are buying (and loving) what you are considering buying. This the Amazon effect in full force. What do we do when we look up something to buy on Amazon? We check the reviews! First, we check to see that there ARE any reviews in the first place. We want to see that others have purchased successfully. And not only that, we want to see that they LOVED what they purchased. If we do, it can be the one thing that pushes us over the fence to actually pull out our wallets. At this point, most online business owners stop. They’ve emailed their list (hopefully) every day during launch week, reminded them of the scarcity element, and even thrown in some social proof from early testimonials. 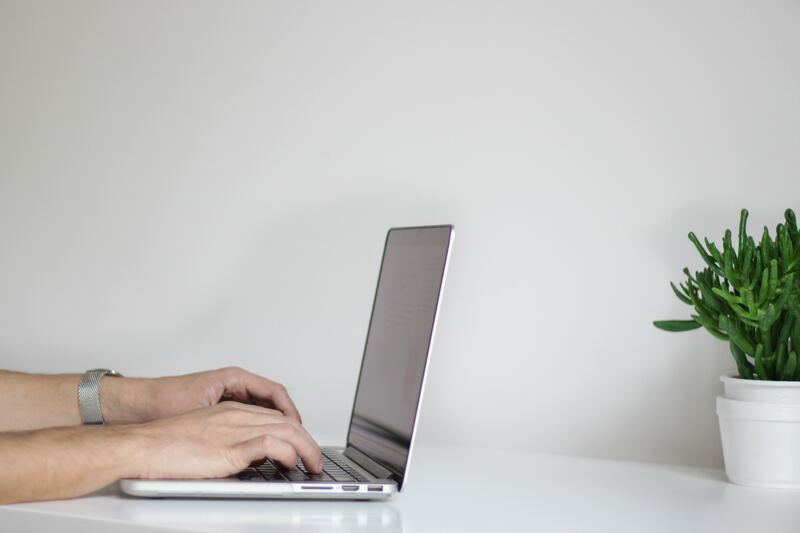 But there’s one final thing that is SO easy to do that will ensure you get the maximum number of sales possible - you need to email your list 3 times on the last day. You’re not bugging them, and no it’s not a bit much. It’s your duty to tell them and remind them that today is their last day to get this amazing course, or get it at this amazing price, or get those amazing bonuses before they go away. It’s YOUR job to offer it to them - not their job to remember. It’s YOUR job to sell - not their job to buy. And the truth is, most people on your list won’t open, let alone read, every email you send. Like we discussed before, they are busy and their inboxes are already full of stuff. Do YOU read every email that comes your way?! Probably not - even from people or resources you like. The same is true for your email subscribers. Don’t assume that they’ve been opening all your emails and don’t assume that they remember when the launch ends and the scarcity element goes away. Here’s what I do on every launch. I tend to end my launches at midnight Pacific time. So I’ll send an email out the morning of the last day around 9 a.m. Eastern with testimonials (like we just discussed) and reminding them that today is their last day to take advantage of the offer. Then I send two more short emails later in the day. One around 4 p.m. and the other at 9 p.m. Both emails are short and to the point, letting the subscriber know that the course is closing or the price is going up, or the bonus is going away tonight. I’ll have a couple of links to the sales page, mention a few details about the course as a brief reminder if someone has no idea what it’s about...but that’s it. Honestly, I don’t care if people actually read these emails. I only care that they see the subject line and are reminded of the scarcity element. If you personally view these last two emails as a common courtesy you will do well and most people will appreciate the effort. Those who don’t can unsubscribe from your list. (And don’t worry, they likely would never buy from you anyway). If you follow this plan and implement all three steps I just shared with you, only one thing will happen: you’ll make more sales. And chances are good that you will literally double your sales. I’ve done so many launches over the years and infused scarcity into each one just as I showed you here and the pattern is always the same - half of my sales come on the last day. A flurry of activity on Day 1 and some on Day 2, but by Day 3-4 they barely seem to trickle in. However on the last day when I send those final 3 reminders about the amazing offer going away at midnight, magic happens! Just look at my launch week sales graph one more time. And that’s what always happens when you launch this way. It’s just human nature. Here’s to seeing a 2X increase in sales on your next launch!